When I bought the book Wuthering Heights, it was in my night table for a long time until I finally read it. I honestly had the preconception that it was a classic romantic novel, where for some reason they can´t be together and end up all "happily ever after". I could not have been more wrong, history has revenge, romance, betrayal; a mixture narrated in a way that has you trapped from start to finish. It´s not for nothing is a classic since forever :P..
Well, starting to tell the story a little. The story begins with a young man (Mr. Lockwood) located in a new house and goes to this place called "Wuthering Heights" in Yorkshire. There he meets the owner of the place and the people around him. During his stay he gets sick and the housekeeper of the house, where he is staying, begins to tell the story of people who lived there as a way to pass the time. And so, we move into the life of Mr. Heathcliff. Since his arrival to the Earnshaw´s house, being a child Mr. Eranshaw, as to when he became the owner of Wuthering Heights. Trying to sum up a bit and not give spoilers, Heathclif arrival was not exactly welcome from the children of Mr. Earnshaw; but eventually Catherine, the daughter, begins to take affection, while Hindley (the eldest son) hatred increased. So, Heathcliff grows hated by most of those around him, so he keeps a great resentment, but also feel a great love for Cathy. The novel is focusing on the lives of all these characters and how their lives and decisions affect those around them, to the point of generating in Heathcliff that "thirst" for revenge. Anyway, the story is great, highly recommendable, you may think that it is "more women like", but honestly, I would recommend to anyone. The story has everything. If you are looking to read a classic, this definitely is one of those. Cuando compre el libro de cumbres borrascosas estuvo en mi mesa de luz por mucho tiempo hasta que finalmente lo leí. Sinceramente, tenía ese pre-concepto de que era una novela romanticona, en la que por algún motivo no pueden estar juntos y al final terminan todos “felices para siempre”. No podría haber estado más equivocada, la historia tiene venganza, romance, traiciones; en fin, una mezcla narrada de tal madera que te tiene atrapado desde principio a fin. No por nada es un clásico desde siempre. Bueno, empezando a contar un poco. La historia empieza con un joven (el señor Lockwood) que se encuentra en una nueva casa y va a parar a este lugar llamado “Cumbres Borrascosas” en Yorkshire. Allí conoce al dueño del lugar y las personas que lo rodean. Durante su estadía se enferma y la ama de llaves de la casa en la que se hospeda comienza a contarle la historia de las personas que vivieron allí como forma de pasar el tiempo. Y es así como nos adentramos en la vida del señor Heathcliff. Desde que llego a la casa de los Earnshaw, siendo un niño al que el señor Eranshaw adoptó y como llego a ser el dueño de Cumbres Borrascosas. Tratando de resumir un poco y no dar spoilers, la llegada de Heathclif no fue exactamente bienvenida de parte de los hijos del señor Earnshaw; pero con el tiempo la hija Catherine, empieza a tomarle cariño, mientras que en Hindley (el hijo mayor) aumentaba el odio. Entonces, Heathcliff crece odiado por la mayor parte de los que lo rodean, por lo que guarda un gran resentimiento, pero a la vez siente un gran amor por Cathy. La novela se va centrando en la vida de todos estos personajes y como sus vidas y decisiones afectan a los que los rodean, al punto de generar en Heathcliff esa “sed” de venganza. En fin, la historia es genial, totalmente recomendable, por ahí piensen que es “mas para mujeres”, pero sinceramente se lo recomendaría a cualquiera. La historia tiene de todo. Si buscan un clásico para leer, este definitivamente, es uno de esos. Nombre: La lección de August. 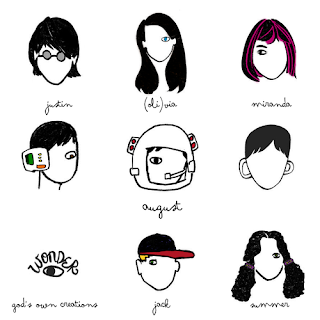 “Wonder: La lección de August” es una novela infantil escrita por R. J. Palacio, publicada en 2012. Este es un libro que me regaló mi mejor amiga por el “Día del amigo”, y hace mucho que tenía ganas de leer, así que gracias flaca!! La historia es hermosa y más de una vez se me escapo el lagrimón, pero como tuve la genial idea de leerlo mientras viajaba o en los intervalos de la facultad terminaba aguantándome. La lección de August es un relato en primera persona sobre un nene que nació con un problema de desarrollo facial, por lo que tiene una cara deforme, y las personas que lo rodean. Sin embargo, fuera de este hecho, es un chico normal que se divierte con sus videojuegos, con “Star Wars”, y cuyo único deseo es poder hacer amigos y llevar una vida normal. A lo largo del libro, August va relatando si vida y su visión de las cosas y las personas que lo rodean, pero en particular, el comienzo de una nueva etapa de su vida: ir al colegio. Hasta el momento él nunca fue a la escuela, lo educaban en casa, ya que sus padres creían que era la mejor forma de cuidarlo y también porque continuamente debía enfrentarse a cirugías. Pero llego el momento que August quería evitar a toda costa, tener que enfrentarse a una multitud que lo vera como una rareza. Alli, va a conocer a muchas personas, buenas y “no tan buenas”, que nos van demostrando como muchas personas reaccionan ante alguien como August. Tambien vamos viendo los puntos de vista de otros personajes como la hermana de August, Olivia, el novio de la misma, Justin, y su amiga Miranda, y algunos compañeros de August, Jack y Summer. Todos ellos expresan como es tener a August cerca, las cosas que van aprendiendo de él y como su llegada modifico sus vidas. De todos ellos Justin es uno de los capítulos que más me gustó, en especial en ese último capítulo donde (no quiero spoilear, voy a tratar :P) nos muestra que si bien August es desafortunado en muchas cosas, no deja por eso de tener muchas otras que lo hacen una de las personas más afortunadas que él conoce. Es una historia llena de lecciones de vida, muy dulce, con frases que se te quedan grabadas y situaciones, que si bien a uno le dan bronca, no escapan de la realidad. Palacio tiene una forma de escribir que si bien es sencilla (ya que es un libro más bien infantil), va acorde a la historia y hace que te emociones con cada palabra. Otra de las cosas que me gusto es que le da a uno que pensar y a hacer una autocrítica sobre el trato hacia otras personas. Si bien a lo largo de la historia muchas de las situaciones nos provocan cierta impotencia, es una realidad que no todos nos comportamos como deberíamos, y es lo que hace al libro tan especial, mostrarnos como muchas veces nosotros mismos nos comportamos y hacernos reflexionar sobre nuestras actitudes. Está de más decir que me encanto este libro, y que en mi opinión, todo el mundo tendría que leerlo. Grandes y chicos deberían leer esta historia, porque si de algo se trata es de que no solo los chicos pueden dañar con o sin intención, sino que los adultos también. Es de fácil lectura, como ya mencione, y sus capítulos son muy cortos por lo que es ideal para leer mientras uno viaja o en los ratos libres. Ahora, si son de lágrima fácil como yo, les recomendaría que lo lean tranquilos en su casa, en especial el final XD! Finalmente, no quiero dejar de decir que August se convirtió en uno de mis personajes preferidos, que a su corta edad nos enseña sobre autosuperación, valentía, generosidad y un valor tan importante como la amistad. 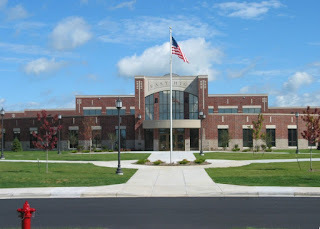 P.D. : Ame este libro, desde que lo empecé hasta que lo termine, vale la pena dejar a este pequeño tan particular entrar por un rato en nuestra vida. 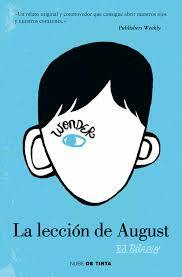 "Wonder: The lesson of August" is a children's novel written by R. J. Palacio, published in 2012. This is a book that my best friend gave me for the "Friendship Day", and that I wanted to read so much, so thanks skinny!! The story is beautiful and more than once I wanted to cry, but I had the brilliant idea to read it while traveling or at intervals in the university so I ended up holding it XD. The lesson of August is a first-person account of a baby born with a facial problem, and the people around him. However, out of this fact, it is a normal boy having fun with his games, with "Star Wars", and whose only desire is to make friends and lead a normal life. Through the book, August narrates his life and vision of things and the people around him, but in particular the beginning of a new stage of his life: going to school. So far he never went to school, he was educated at home because their parents thought it was the best way to care for him and also because he continually had to face surgery. But the time that August wanted to avoid at all costs came, having to face a crowd that will see him as a rarity. There, he will meet many people, good and "not so good" that are showing us how many people react to someone like August. 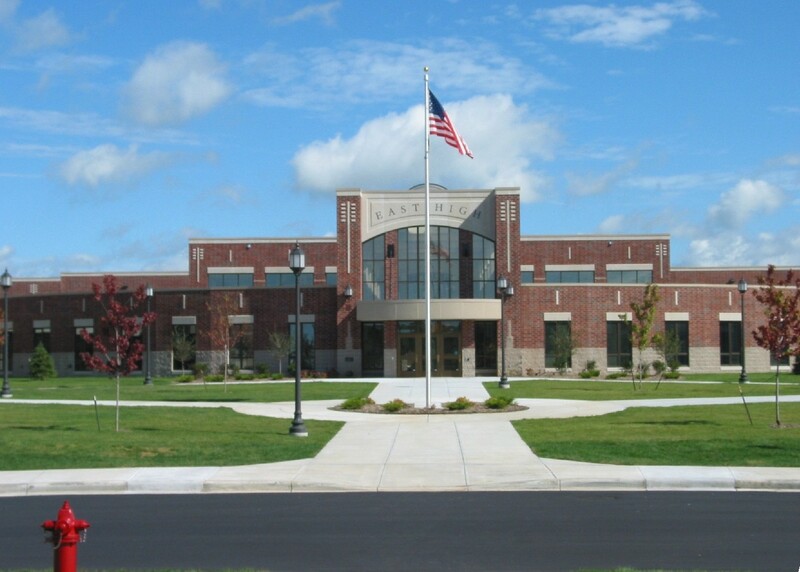 We will also see the views of other characters such as August's sister, Olivia, her boyfriend, Justin, and her friend Miranda, and some of August classmates, Jack and Summer. All of them have expressed as August is near, things they learn from him and how his arrive modify their lives. Of them, Justin is one of the chapters that I liked the most, especially in the last chapter where (I don´t want to spoil, so I will try: P) shows that although August is unfortunate in many ways, he has many others things that makes him one of the luckiest boys he knows. It's a very sweet story full of life lessons with phrases that remain in our mind and situations that make you angry, but they don´t escape from reality. Palace has a way of writing that while it is simple (as it is a rather childish book), is consistent with the history and makes you get emotional with every word. Another thing I liked is that it makes you to think and do a self-criticism about the treatment of others. While throughout history many situations cause us some impotence, is a reality that we all don´t behave as we should, and that's what makes the book so special, show us how we ourselves behave and make us reflect on our attitudes. 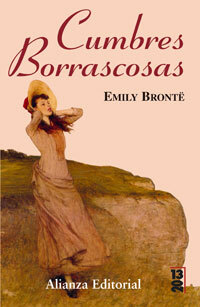 I don´t need to say that I loved this book, and in my opinion, everyone should read it. Adults and children should know this story, because it tells that not only the kids can damage, intentionally or unintentionally, but adults as well. It is easy to read, as I mentioned, and its chapters are very short so it is ideal for reading while traveling or at leisure. Now, if you are easy to tear, I recommend you to read it calmly at home, especially the end XD! Finally, I want to say that August became one of my favorite characters, who at his young age teaches us about self-improvement, courage, generosity and such an important value as friendship. PS: Since I started it until the end, it is worth leaving this small and special kid enters for a while in our life. Nueva pestaña!! / New tab!! Buenas!! Después de una recolección importante de libros decidí abrir una nueva pestaña donde van a ver una gran lista de libros. Vean "MI LISTA DE LIBROS"
Ojala les guste y espero las sugerencias!!! Hello!!! After a major collection of books I decided to open a new tab where you will see a list of books. I hope you like and I am waiting for suggestions !!! Nombre: Las ventajas de ser invisible. 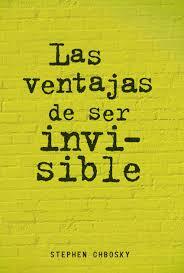 “Las ventajas de ser invisible” es una novela escrita por Stephen Chbosky, publicada en 1999. Es una historia sobre los cambios que implica comenzar con la escuela secundaria, y en particular lo que representa para el personaje principal, como las personas con las que se relaciona van cambiando el rumbo de su vida. Este es un libro que leí hace ya un par de años, y que cuando lo termine lo primero que pensé fue “que lastima que no lo leí cuando estaba en el secundario”, no porque la historia sea durante esa época de la vida, sino porque tal vez lo habría apreciado de otra manera. Se centra en la vida de Charlie, un chico que comienza en secundario, a la dificultad de comenzar una nueva etapa y querer relacionarse con chicos de su edad se le suma que tiene una personalidad tímida, y el haber pasado por ciertas situaciones muy tristes. El texto está escrito en forma de cartas dirigidas al lector, en las cuales Charlie expone su situación diaria en la escuela, las personas que lo rodean y cuenta sus secretos y sentimientos más profundos. Conoce a Sam y Patrick, de los que se hace amigo y comienza a descubrir un mundo que para él era desconocido y va transformando su vida. Otra de las personas que comienza a influir en su vida es su profesor de literatura, el cual lo incentiva a expresarse y leer, y a empezar a definir su futuro. A lo largo del texto nos va revelando historias de su vida, su familia y la relación con ellos, como va transitando su primer año de secundaria y como su vida cambia de acuerdo con las decisiones que toma. Mi personaje “favorito” es su profesor de literatura Bill, que le recomienda leer varios libros que lo van guiando durante el año. Me hubiese encantado tener un profesor así, lástima que no todos tienen esa inspiración para enseñar XD. Se lo recomendaría a cualquier persona, pero en especial a los que están en esa etapa “conflictiva” ya que tiene muchos consejos y puntos de vista interesantes. Es un muy buen libro sobre las relaciones humanas, el aprendizaje y las influencias que uno tiene (desde un libro hasta los consejos de las personas). “The perks of being a wallflower” is novel written by Stephen Chbosky, published in 1999. It´s a story about the changes that implicates beginning high school, and in particular what it represents to the main character, how the people he chooses to bond with start changing the course of his life. This is a book that I read a couple years ago, and when I finished it the first thig I thought was “it´s a shame that I didn´t read this book sooner when I was in high school”. Not because the story happens in that part of life, but because I would have appreciated it in other way. 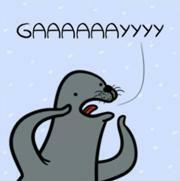 It centers in Charlie´s life, a boy that begins high school. To the difficulty of beginning a new stage in life and wanting to meet new people, it´s added a shy personality and had gone through some very sad situations. The text was written as letter for the reader, in where Charlie tells his daily situation at school, people that surround him, and he tells his secrets and deeper feelings. He meets Sam and Patrick, with whom he starts a friendship and starts to discover a new world that for him is unknown and changes his life. Another person that has an influence in Charlie´s life is his literature teacher, he encourages him to express himself and read, and begin defining his future. Throughout the text he will reveal stories of his life, his family and the relationship with them, how he is passing his first year of high school and how his life changes with the decisions that he made. My "favorite" character is his literature professor Bill, which encourages Charlie to read several books that will guide him through the year. I would love to have a teacher like him as well, it´s a pity that not everyone has that inspiration to teach XD. I would recommend it to anyone, but especially those in that "conflict" stage, the book has many advices and interesting views. It is a very good book about human relationships, learning and influences that one has (from a book to the advice of people).